By Lucy's Aussie Fan, May 10, 2011 in STOP THAT! NOW GO BACK AND SIT DOWN! I'm watching "The Case of the Reckless Wheelchair Driver" on Fox! I haven't seen that episode in ages... I think I'll take it for a spin tonight. Thanks! Just watched "Lucy in the Jungle." Come on, that episode wasn't that bad! I really got a kick out of Lucy's "Harry get off your DONKEY and help us!" line. Why were they riding donkey's through the jungle? I don't know why I didn't remember the beginning after seeing it once. It was all new to me. And I didn't even catch the donkey line the first time around. I'm watching $23.50 to try and make myself like it............I'm maybe getting a couple more laughs this time round but I can't help but get sidetracked by Van's eyeshadow and blush! He looks like a drag queen with all that makeup! "Ginger Rogers Comes to Tea"
Just watched "Kim Moves Out" and "Harry's Italian Bombshell" last night. 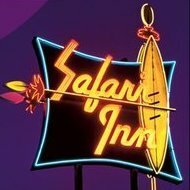 I finally made it all the way through "Lucy and the Jungle"
Lucy and Flip Wilson, yes, again, and then Lucy on HIS show too. Watched "Lucy & the Jungle" yesterday & it is the first Lucy episode I have ever used the fast forward button on! Waaaaaaay too much yelling & bickering going on for my taste. Harry's constant loud, negative & over-the-top responses to every little thing & Lucy snapping back at him really got on my nerves. To me it was annoying rather than funny. Maybe that's why she used the pickaxe on him?? Yup, as i keep saying, what you describe was the main reason most fans i knew stopped watching the show. It was so good to see Viv again, & to see Viv & Lucy together again! Also watched the last episode where Kim moves to an apartment & Lucy's brother lived in the same building. I thought Lucie did a wonderful job carrying most of the episode, and also thought that the actress who played her friend stole every scene she was in! Great laugh -- she made the audience laugh several times without saying a word. Yeah, she had a face that just demanded laughter, LOL! Sort of like Ruth Buzzi on steroids. Hey, they found the one shot of Harry NOT yelling and screaming at her, so tweren't easy! I am definitely buying it for the convenience of having the best of shows handy at my disposal. And one or two that belong in the disposal. Every time someone says that I immediately flash to "Lucy & Uncle Harry's Pot", which I wish was included here: definitely one of the best of the series. I'm sure I'll grab it too at some point since I hate to not have it part of the "collection"! Now hopefully after this we'll soon see "Lucy Moves to NBC".... as painful as a lot of that could be, too! Oh yeah, i just hated that special and don't even want to see it again BUT, lots of stars and some of them had some nice bits of business to do with her so . . . SO do we know what seven episodes these are yet? My picks of "Best of" are never the same as anyone else's. 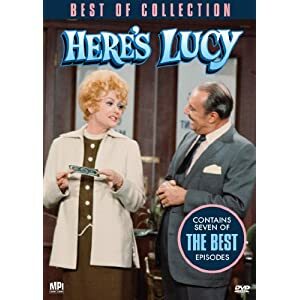 The "Best of" episodes are: "Lucy & The Great Airport Chase", "Lucy Meets The Burtons", "Lucy & Mannix Are Held Hostage", "Lucy Goes On Her Last Blind Date", "Lucy & Joan Rivers Do Jury Duty", "Lucy Is N.G. As An R.N." and "Lucy & Joe Namath." I agree with "Lucy Meets The Burtons", "Lucy & Mannix Are Held Hostage", and "Lucy Is N.G. As An R.N." The rest are kind of strange choices. "Lucy and the Great Airport Chase" is a location show and I'm sure they wanted to include one of those. I'm glad we get two additional Bob and Madelyn penned episodes, but those are not among their best. Was "Lucy Goes on Her Last Blind Date" also used as an extra on that Don Knotts DVD too? "Lucy and Joe Namath" might have been included because it is among the broken leg episodes and it also features Desi Jr. Without that episode, the only show with him is "Lucy and the Great Airport Chase." I like that they focused on the later seasons, unlike the Shout! Factory Best of set.